A child called Emmanuel (meaning God with us) was to be born…born of a virgin. How can that be? 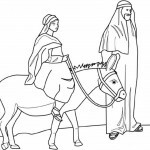 Why was the virgin birth so important? This first Messianic prophecy was spoken by God, to the serpent, after Adam and Eve ate the forbidden fruit. God promised a coming Redeemer even before He banished them from the garden. In scripture, the seed is pictured as coming from the man, while the woman’s womb is pictured as a fertile environment for the seed to develop into a child. Yet here God speaks of the woman’s seed. 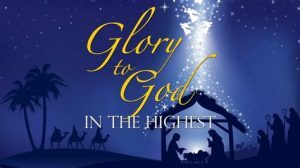 From the very beginning, God had already planned for Messiah to be conceived without an earthly father…to be born of a virgin. Jesus is the seed of the woman. The seed of the woman is Jesus Christ. Who is the seed of the serpent? The seed of the serpent are those who do the deeds of Satan…those who are at enmity with God…those who walk in sin. The seed of the serpent are all the descendants of Adam who reject Jesus as Christ (1 John 5:1&19). Adam was created in covenant with God (Genesis 1:27 & 2:7, Hosea 6:7). When Adam sinned, he entered into covenant with the kingdom of darkness. This is the fruit of the tree of the knowledge of good and evil…being in covenant with both good and evil. Remember those fictional stories about people making deals with the devil then despairing because Satan gained legal right to their souls? This was the issue facing mankind after Adam’s fall…the devil had legal claim over Adam’s soul. In the Old Testament, covenant is a father-to-son inheritance. 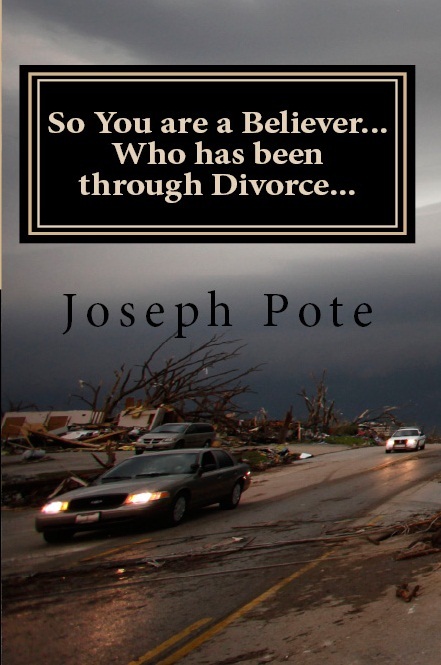 The sons inherited not only the father’s property, but also his covenant relationships, including his debts. So, not only was Adam in covenant with evil…so were all his descendants. What a hopeless seeming situation! How can we escape an evil legacy inherited from birth? Every human child is born into Adam’s covenant with evil. Jesus was born of a virgin! 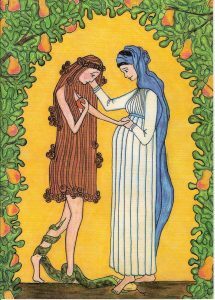 Jesus is the seed of the woman, conceived with no earthly father from whom to inherit Adam’s covenant. Conceived of the Holy Spirit, Jesus was born in covenant with God but not in covenant with evil. As the only descendant of Adam born with no covenant ties to the kingdom of darkness, only Jesus was qualified to act as our Kinsman-Redeemer. Only Jesus could redeem us from the kingdom of darkness. And the waters will overflow the secret place. Only Jesus was qualified to be our Kinsman-Redeemer, and His virgin birth was an essential part of God’s plan of redemption. Not only did God become a man, but He also became our Savior and Redeemer…the only person qualified to redeem us from Adam’s covenant with sin and death. Hallelujah! Glory to God in the highest! Thru Emmanuel, we are redeemed! With fruit from the forbidden tree. Believing sin would set him free. To claim what his heart did crave. Oh, the horrible guilt; the burden; the pain! Paradise lost, and nothing to gain! Though God’s Spirit dwelt in his heart. Forcing God’s Spirit to depart. Oh, the horrible guilt; the sin; the shame! Emmanuel’s dead, and Adam’s to blame! And so the killing continued. Cain murdered his brother, Abel. Cain treated God’s law as a fable. Abel’s blood cried out for vengeance. Though marked, Cain was not sentenced. Abel is dead, and Cain is to blame! In Noah’s day, man’s wickedness spread. Their hands were covered with blood. God slowed the infection by sending a flood. One murder demands another’s death. The stain of sin just keeps on spreading. A contagious disease, it infects with a breath. Oh, the horrible spread of that bloody stain! We all are dead, and ourselves to blame! To pay for the guilt of their sin. They confessed the lost state of men. But acted as promissory note. Nor can the blood of a goat. Oh, the horrible guilt; the sorrow; the pain! Who can remove this awful stain? But all of the prophets were slain. Than facing the guilt and the pain. But all have gone their own way. And now there is Hell to pay! All hope is lost; God’s spokesmen are slain! Oh, hear the angels sing! A Savior, Christ, the King. God, born in human flesh. Oh, the wonderful joy; the hope; the life! God’s Son has come, to end all strife! Now, who can set us free? Because of their wicked ways. They hated God’s truth; it showed their sin. Oh, the horrible guilt, despair, and shame! God’s Son is dead, and we’re to blame! Jesus died to pay for my guilt. ‘Twas my sin He bore on that tree. He gave his life to pay off my debt. He died so I could be free. Were driven because of my pride. My rebellion was the cause of his death. My sin thrust the spear through his side. Christ Jesus has died, and I am to blame! Jesus, save me from this horrible guilt! Forgive the deeds I have done! I’ve murdered God’s only Son! I am cleansed from the guilt and the pain! Removes all my guilty stain! Oh, the wonderful joy in confessing the blame! I’m free from my guilt, since I called on His name! He said that Eve was to blame. If we want to be cleansed of the stain. Oh, what a glorious irony! His blood brings the victory!